We’ve updated this course to include new content, demos, and knowledge checks. This self-paced course is designed to introduce you to fundamental cloud computing and AWS security concepts including AWS access control and management, governance, logging, and encryption methods. It also covers security-related compliance protocols and risk management strategies, as well as procedures related to auditing your AWS security infrastructure. Capital One is using AWS as a central part of its technology strategy. As a result, the bank plans to reduce its data center footprint from eight to three by 2018. Capital One is one of the nation’s largest banks and offers credit cards, checking and savings accounts, auto loans, rewards, and online banking services for consumers and businesses. It is using or experimenting with nearly every AWS service to develop, test, build, and run its most critical workloads, including its new flagship mobile-banking application. 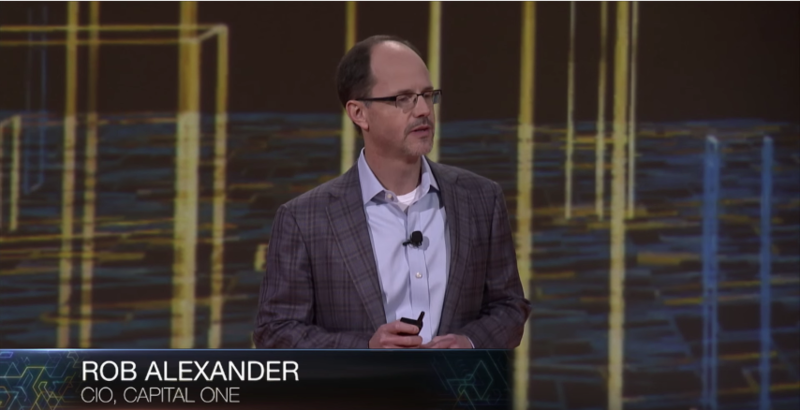 Rob Alexander, Capital One's chief information officer, says, "The financial service industry attracts some of the worst cyber criminals. We work closely with AWS to develop a security model, which we believe enables us to operate more securely in the public cloud than we can in our own data centers." Capital One selected AWS for its security model and for the ability to provision infrastructure on the fly, the elasticity to handle purchasing demands at peak times, its high availability, and its pace of innovation. By migrating to AWS, FINRA—the Financial Industry Regulatory Authority—has created a flexible platform that can adapt to changing market dynamics while providing its analysts with the tools to interactively query multi-petabyte data sets. FINRA, one of the largest independent securities regulators in the United States, was established to monitor and regulate financial trading practices. To respond to rapidly changing market dynamics, FINRA moved about 75 percent of its operations to Amazon Web Services, using AWS to capture, analyze, and store a daily influx of 75 billion records. The company estimates it will save up to $20 million annually by using AWS instead of a physical data center infrastructure. NASDAQ OMX is the largest exchange company in the world and currently owns and operates 24 markets, three clearing houses and five central securities spanning six continents. Their technology powers 70 exchanges in 50 countries. The company’s Global Data Products division uses Amazon S3 to store data used by its Market Replay and Data-On-Demand products, applications that allows customers to quickly access historical stock price information through a front end application and raw files. AmInvest, a Malaysia-based funds management service, applies analytical and statistical modeling to identify and exploit market opportunities on behalf of its clients. The company uses AWS to run its analytical and statistical financial modeling platform and analyze more than a terabyte of data. By moving to AWS, AmInvest will lower the cost to run analytics by 50% over a five-year period and reduce the average time required to complete client scenarios in half.